IRVINE, Calif. (April 17, 2017) – Having previously won a spot on the prestigious list of Wards 10 Best Engines Award just a few months ago, the 2017 Mazda CX-9 earned its place with its turbocharged SKYACTIV-G 2.5T engine delivering standout performance and efficiency. Now, Mazda’s designers get to join the engineering team with another accolade of their own, as CX-9 has earned a 2017 Wards 10 Best Interiors award. 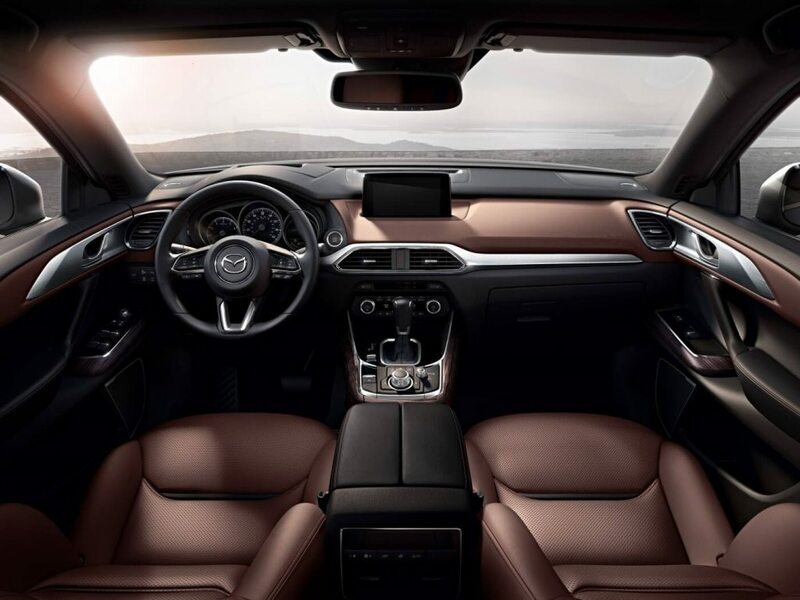 “We designed Mazda CX-9’s interior from the onset with a concept of ‘Smart Indulgence,’ recognizing that there’s a balance between needs and wants,” said Julien Montousse, director of design, Mazda Design Americas, who personally led the design of CX-9’s interior. “Our goal was to maximize both functionality for families and opulence for couples looking for a getaway. The second-generation CX-9 went on sale in May 2016, launching Mazda’s new top-tier Signature trim level, which features LED interior accent lighting, Auburn Nappa leather seating surfaces, rosewood sourced from premium guitar-maker Fujigen and aluminum trim. Complemented by its refined ride, quiet interior and the rush of 310 lb-ft of nearly instant torque from just 2,000 rpm and channeled through available, predictive i-ACTIV all-wheel drive, CX-9’s style and substance have strongly resonated with buyers. While most crossover SUVs see the majority of their sales in mid-tier trim levels, CX-9 buyers have overwhelmingly opted for top-trim CX-9 Grand Touring and Signature models—about 60 percent of model mix. Additionally, CX-9 has brought in new buyers that often come from premium or luxury nameplates. WardsAuto Senior Editor Tom Murphy said customers picking the upper trim levels of the new CX-9 is no surprise. Starting at an MSRP of $31,520 in the thick of the three-row crossover SUV segment, CX-9 offers a combination of engaging driving dynamics, craftsmanship, quality, design and efficiency that is unmatched in its segment—truly the Mazda of family crossovers. For more information about the Wards 10 Best Interiors Award, visit http://wardsauto.com/interiors-2. MSRP does not include $900 for destination and delivery ($945 in Alaska) or additional taxes or fees. Dealers set actual sale prices.